Home » Android » Who Unfriended Me on Facebook? Find out Now. Ever wondered about knowing who is ignoring you on Facebook? Aren’t you curious about it? What if I said you that there is an Android App available that can do the job for you? Interesting, isn’t it? With the increasing number of friends in social networks, we often fail to maintain a steady and stable connection with all our friends. In many cases, we can’t keep track of our friends’ list. And that can make a huge impact on our relationship with anyone. 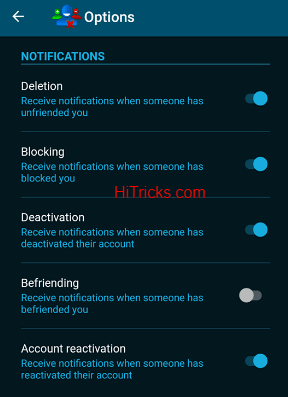 So, today I am back with an app which will help you keep track of your friends’ list and notify you if anyone unfriends you or blocks you. How to know Who Unfriended Me on Facebook? How to know Who Blocked Me on Facebook? 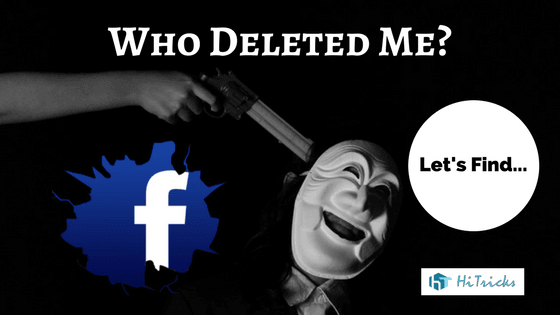 How to know Who has deactivated his Facebook Account? How to know Who has reactivated his Facebook Account? How to know Who wants to be friend with you? How to know about your New Friends? 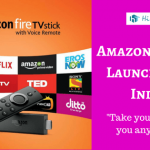 Well, it is simple, there is one android app that can do all these jobs for you. All you have to do is to give this app complete access to your Facebook Friends List and it will start tracking your Friends List actively. But before you dive into the app, let me give you some basic warnings about the app. The app needs access to your Facebook Account. So, after downloading the app you need to log in to Facebook from within the app. This isn’t alarming if the login was directly from Facebook via any Facebook based application. But it has remote login feature. This means you need to enter your Facebook Details over an in-app browser. If you have 2 step verification enabled, you need to provide the code too, to give access. The next thing I noticed is that this app keeps track of your friend list, as YOU YOURSELF and access all of your Facebook Account. Well, you must know all the services you use, they create a Facebook-based application to give you the Login via Facebook feature. Meaning, after logging in, it will for your permission like: This App will get access to your about, email, friends list etc. But this app has no such feature. It logs in as YOU YOURSELF (and not via any application) and gains complete access to your account directly. Well, I can understand that Facebook does not allow any application to track Friend List because it risks our privacy. It’s done kind of off the record. Hence, the app logs in as you and controls the friend list manually, without needing the Facebook Application feature. If you are okay with this, then you may try out this app. 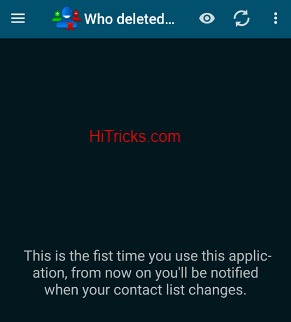 The name of the app is Who Deleted Me. Install and Open App. It will ask you to sign in with Facebook. Enter your Facebook Details. The good thing is that even if you have 2 step verification enabled for security, this app is fully compatible with it. You can sign in using your 2 step verification settings. After signing in you can see the main screen of the app. That’s it. You don’t need to do anything. The app will start tracking your friend list and notify you in case it finds out someone has unfriended you. 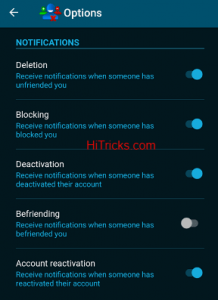 Not only unfriend, it can also notify you about friends who had blocked you, or who has deactivated his profile, and also who has reactivated their profile back again. It will also show you who wants to be friends with you, which is the pending friend request section of Facebook. You can configure which items you want to get notified, from the app settings. To access the settings, click on the top left menu and then choose Options. The functions of this app are pretty self-explanatory, and it does not need any complex setups. Check back from time to time to get notified about your friends’ behaviour. That’s all about the Who Deleted Me App. I hope you liked it. Do share it with your friends and let them know about this wonderful application. Use the social share buttons below. If you have any queries you can write in the comments section below. I will be happy to help out. Thanks for reading the post. I will soon be back with another exciting update. Till then, stay tuned! I prefer few things to be unknown on social media. Let their be some mystery, some thrill… every activity of a user need not be exposed. Just my personal opinion. I badly need this app! But Is this app secure for FB Logins? Any Problem with Personal Data?